Great item for churches, golfers and miniature golf courses. Imprint Area: 3/4" x 1-1/2" Packaging: 144 per box. Weight: 8 lbs./M. *Pricing, Min Qty, & availability subject to change without notice. (if checked - we will notify you if there is an additional charge for exact quantities) The nature of manufacturing many of our products requires machinery to be fine tuned as a production run starts up. Often discarding products with poorly placed logos - slowing & stopping the machinery at an exact qty is often difficult. Quality inspections occur after the run at a slower pace. If the quality inspectors discard a qty that leaves the remainder less than you ordered it is too expensive to resetup & start the machinery for a small quantity run. 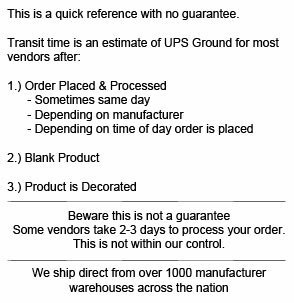 Most will do their best to ship the quantity you ordered while gaurunteeing quality --- If you request an Exact Quantity run many manufacturers will charge an additional amount to offset their costs in meeting the Exact Quantity --- On lower cost items, it is often better to accept & pay for the overuns than pay an Exact Quantity Charge. 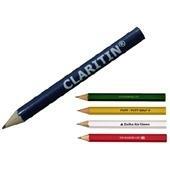 Buy Round Golf Pencil Today! 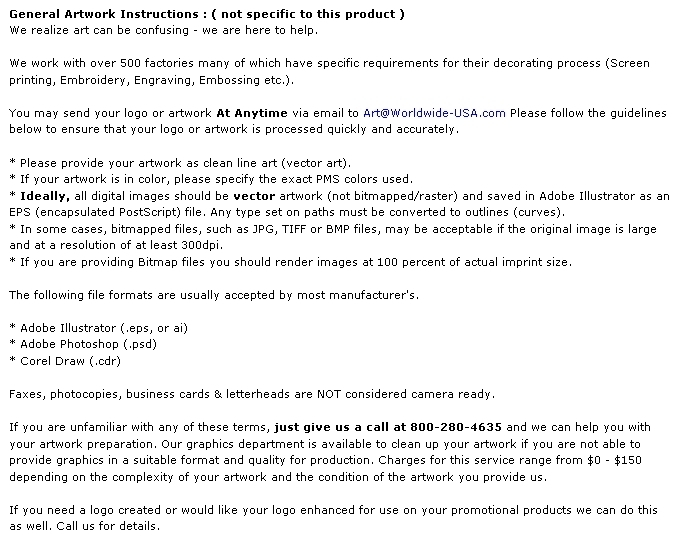 Copyright © 2009 - 2019 Worldwide Products, Inc. (Worldwide-USA). All Rights Reserved.